The Labor Party of Israel elected its new leader yesterday, MK Yitzchak "Buji" Herzog, a veteran Israeli politician. Many observers of Israeli politics know that he is the son of the late President of Israel, Chaim Herzog, and Aura Herzog, the sister of Suzy, Abba Eban's widow. Buji Herzog's lineage is also documented in these pictures from the Library of Congress' archives. 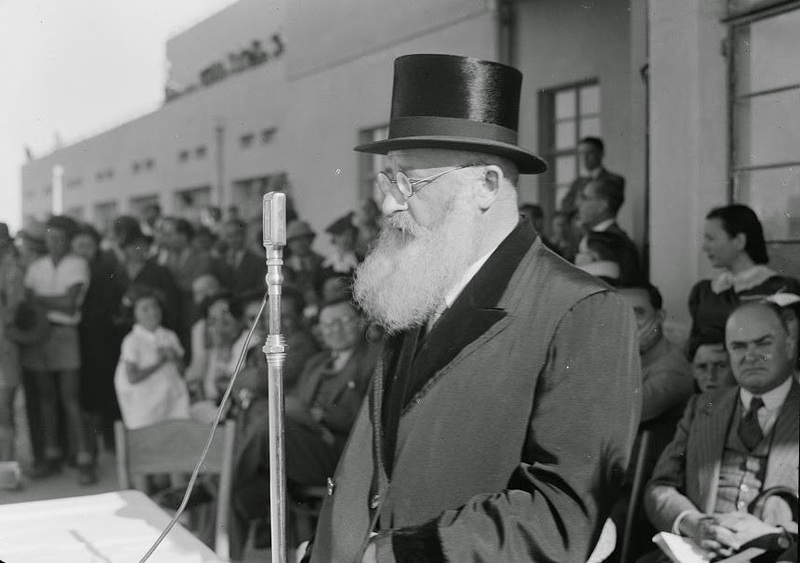 His grandfather, Rabbi Isaac Herzog, was the Chief Ashkenazi Rabbi of Ireland and Palestine (and after 1948, the Chief Rabbi of Israel). Rabbi Herzog succeeded Rabbi Avraham I. Kook. Today's new Labor Party leader was born a year after grandfather died and was given his name. 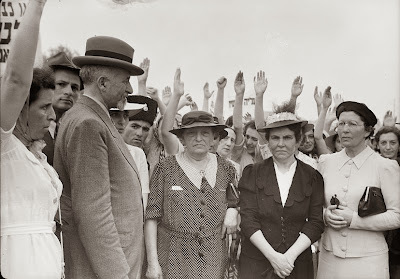 MK Herzog's grandmother, Sarah Herzog, "The Rabbanit," is pictured here leading a 1939 women's demonstration against the British "White Paper" which severely restricted Jewish immigration into Palestine, thereby slamming the door to Jews attempting to leave burning Europe. She (in the dark suite) is pictured with other "leading ladies" of the Jewish "Yishuv," Rachel Yanait Ben-Zvi (right) and Ita Yellin. Rachel was married to Yitzchak Ben-Zvi, Israel's second president. Ita was married to Prof. David Yellin, a leading educator. See an earlier posting on "The Rabbanit's" 1939 demonstration here.